This fun collection could only come from Hess. Firstly, the orchestra is his own creation. Then there is the superbly "cricket" Britishness about his style that infuses most of the pieces. One track that sends him farther afield deserves immediate mention: "Global Variations". Musically this spins the planet faster than Fogg or Palin (eight minutes), taking in the rich sounds of France, Spain, South Africa, Egypt, Russia, India, China, Australia and South and North America. Of course it is bracketed by journey's start and end in Blighty beneath the chimes of Big Ben! The album's title track is a premiere recording that explores the ensemble's capabilities, ranging from dark moods to lightning bursts of cheer. Other journeys taken include a trip "To the Stars!" with an enthusiastic school choir, the take-off of "Stephenson's Rocket" (a piece that comes off as an English superhero's anthem), and a county-crossing browse through local melody in "Thames Journey". There's also a suitably airy flight taken complete with spirals updiddly up and back down again for "Scramble!" And each of his famous "TV Detectives" (Dangerfield, Campion, Wycliffe, Maigret and Hetty Wainthropp) get a moment in the sun too. 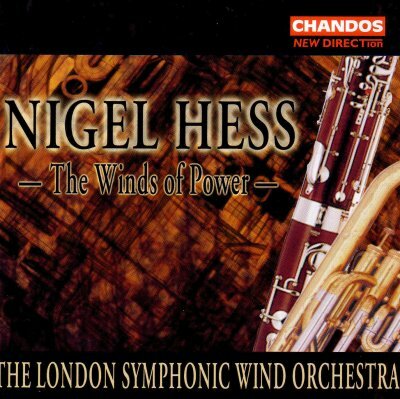 The recording has the feel of a concert hall setting, and makes for a most entertaining stationary tour of Hess's wind-blown world.